Having spent two weeks in Berlin really delving into the hidden histories of the city, I’ve paid a lot of attention to the voices we were hearing. Our class has been fortunate to meet some of the people who hold those quiet narratives, the narratives that some people never get the chance to hear. But being in Berlin has really called my attention to the voices we are not hearing. When someone thinks of Germany, they have learned to think of the Holocaust. Within each memorial lies the narrative of the collective memory that the Germans share in commemoration of the lives that were lost. I heard continuously about the guilt that the Germans experience, but it was not until I visited Amsterdam this weekend that I really felt like I had heard the individual voices of those afraid to speak for themselves. Perhaps at the time, I just wasn’t listening closely enough. 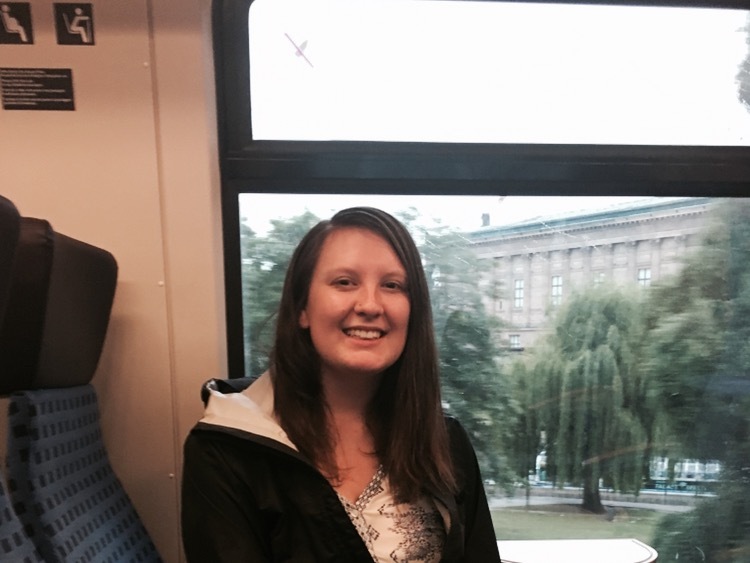 My day started very early in the morning, 4 am to be exact, as my classmate Jannet and I rushed towards Hauptbahnhof Central Station, worrying we would miss our train to the airport. Our train had, in fact, been delayed. From there, we got lost, we missed train stops, we endlessly and obliviously walked in the wrong direction, and we had to ask people for help. Through all of the chaos, I could not help but think of how excited I was to explore a new place—a new culture. 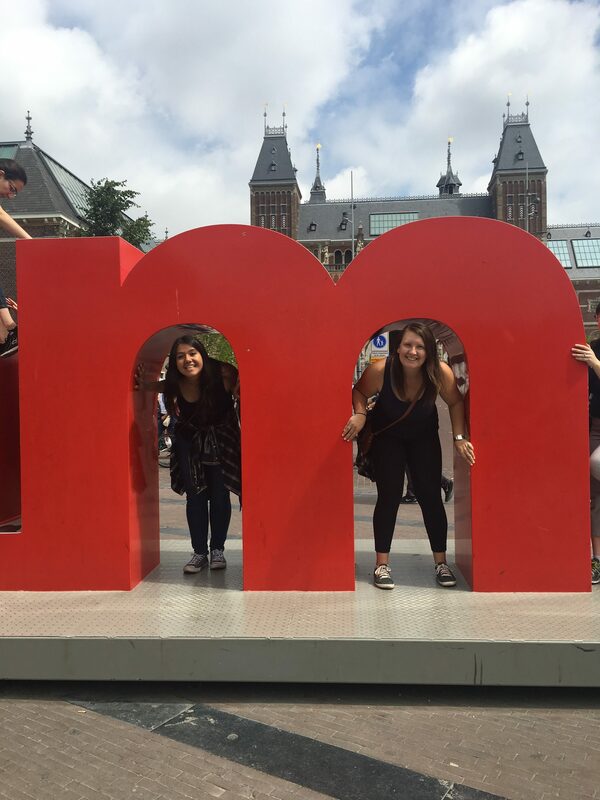 Once in Amsterdam, we did some classic tourist things, like take a picture in front of the “I Amsterdam” sign, but we also indulged in local cuisine by eating Stroopwaffels—a yummy waffle dessert that everyone should try. Still, in the back of my head, I knew I was blogging about this weekend, and I kept thinking I had to do something that would have strong connections to our coursework. As it turned out, the locations I intentionally sought out were where I found the narratives I had been seeking. 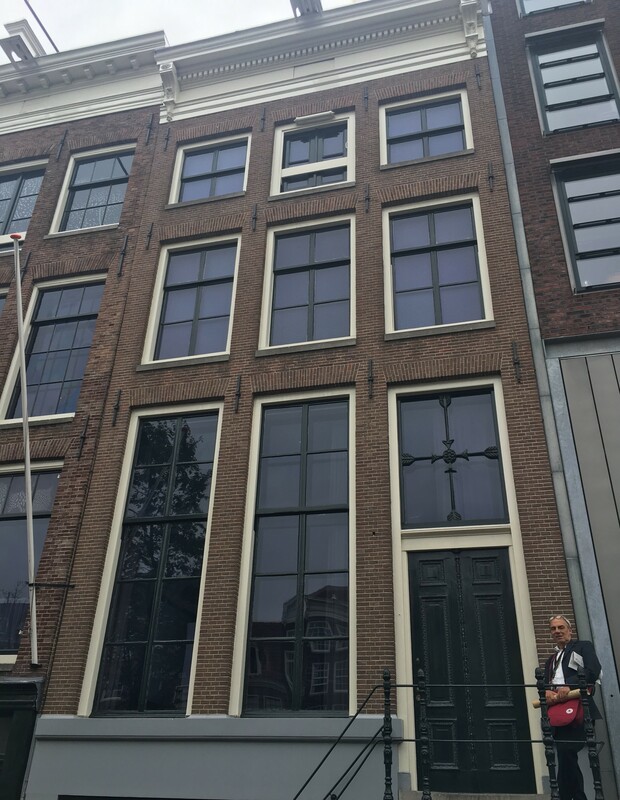 Our first stop for these narratives was, of course, the Anne Frank House. Our class had been to the Anne Frank Museum in Berlin, and I wanted to be able to compare the two. However, my admittedly poor lack of planning led us to a line that stretched a few blocks, so we had to be content with just seeing the outside. By this point, Jannet and I had met up with one of her friends who had visited the museum before and was able to tell us some of what she remembered. She pointed out the nearby church tower, and told us Anne would write about the bells she could hear from down the street. She told us about a tree in the backyard that Anne could see from the window where she was hiding. A couple of years ago, the tree was found to be dying and was cut down. This was very controversial, because the tree played a huge part in Anne’s narrative. This quote called me back to the conversation we had just a day prior during our panel with Black German women of the Post-War generation. Then, we had the chance to speak with Marion Kraft, author “Coming in From the Cold: The Black German Experience, Past and Present.” Here, Kraft writes that in post-war Germany, “many mothers were ‘convinced’ by German authorities to have their children adopted by African-American families.” Our conversation led the panel of women to tell us how they and their friends experienced this separation of family and isolation first hand. None of them could answer the question of how the adoption process impacted the lives of Black German children, because no one narrative would be the same. The Jewish Museum was a reminder that we should not think of the world in generalizations, because that is how individual voices are forgotten. Another of these interviews was of a Jewish man who appeared to be in his mid-70s. He spoke of how when he returned from the camps, nothing was left in Amsterdam to remind him of his home. He would go to flea markets each week, hoping to find a book from a familiar time or a photo of his father. Every week he returned to the market because his sole hope was that he could somehow be reconnected to his family. 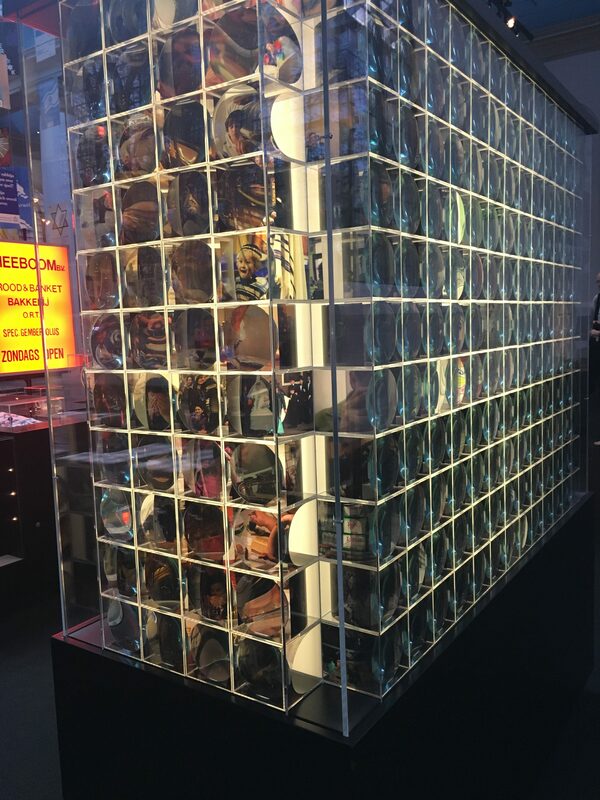 The sad fact is it took a lot for me to find this museum and hear this man’s story. I had to actively seek out these narratives, because they are held at the margins. In “Troubling Categories I Can’t Think Without: Reflections on Women in the Holocaust,” R. Ruth Linden questions the validity of the way the Holocaust seems to be remembered in Germany by calling on people to look to the margins. More specifically, Linden questions “how our understanding of who the women of the Holocaust were, and how they lived, has been misshaped by fixing our gaze on the vortices of power and destruction, away from the margins.” It seemed to me that so much of the collective memory in Berlin focuses on those Germans who feel guilty for what their ancestors have done. Linden is right that many people don’t act as though we want to hear the stories of the marginalized—instead collective memory provides a space for the voice of the oppressed individual to be ignored. Linden is not the only one who thinks women have been left out of the Holocaust narrative. Some writing on a wall in the Museum referenced three Jewish women who had a huge impact on emancipation for Jews in Amsterdam before the war. I sat down to hear the interview as I did all the rest, expecting to hear more about the accomplishments and successes of these women—to hear their stories. Instead, the interview was of a white man. I then clicked on the photos and documents section in hopes these women would be talked about. Only two of these women were pictured. The other four photographs were of white men. One of the women we spoke with during the aforementioned panel was activist and co-founder of ADEFRA, Jasmin Eding. In “…And I Let Myself Go Wherever I Want To,” Eding describes the purpose of her organization: “We are working on our vision to make ADEFRA a place for empowerment for women and their children, a place of comfort, a place to learn and grow, a place to heal.” ADEFRA and Linden aim to achieve what, in my opinion, the Jewish History Museum could not accomplish: substantial and intentional representation of women, of those who identify as LGBTQ, of Sinti and Roma—persecuted groups at the margins of the Holocaust. During the panel, I asked, “Do people in Berlin feel as though they need to put all of their energy into one minority movement, or do they spread their energy around?” I know tensions about dispersing energies exist in the U.S., because of the fear that nothing will ever get done. I wanted to know how these conversations were being handled in Germany. One of our guests, Judy Gummich, responded that “it needs to be a balance of both.” She went on to say that people are so focused on their own interests, they forget about the interconnectedness that exists between minority groups. When people are only focused on the larger picture and getting things done, they forget to listen to the individuals who need their voices to be heard in order to heal. They forget it is in their own interest to help each other in their fight towards justice and equality for all. The larger narratives of collective memory and of the oppressor distract from the individual stories that have the power to change perspectives—those are the narratives that we need to seek out because they are so easily forgotten.